This police report is not final for 2008. Reports of 2008 shootings may continue to be released for the next week. Please send these directly to DogsBite.org, or simply leave links in this comment section. Summary: Police officers knocked on the door of a man wanted on an assault warrant. The man came to the door but didn't open it. Two dogs were barking inside, and officers asked the man to secure them before he opened the door. "He put the one dog away and then came back and asked, 'What's this about?'" Police Division Spokeswoman Amanda Ford said. Officers told him he needed to secure the second dog. He then went upstairs with the dog and shot himself. The dog that had not been secured rushed at the SWAT officers. The pit bull was shot and killed by police. Police found the man dead upstairs. Summary: An Erie police officer shot a pit bull who chased a man into Lake Erie. The man called for help from a cell phone Tuesday after two pit bulls chased him in the water near the foot of East Avenue. When Officer Rick Romanski arrived, he said one of the dogs lunged at him. He shot the dog once and it ran into nearby woods. The other dog was taken to the Association for Needy and Neglected Animals. Police tracked the wounded dog for several hours, but were not able to find it. The dog was located today and it was taken to the A.N.N.A. Shelter. 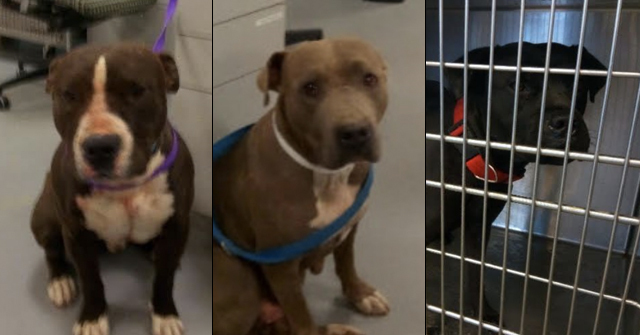 Summary: Officials from the Carson City Sheriff's Department say a pit bull broke through a screen door at the home of an off-duty sheriff's deputy, attacking his dog inside. The deputy could not separate the dogs, so he punched the pit bull, breaking his hand. He eventually was able to lift the dog and throw it outside. The pit bull then attacked two other neighborhood dogs. The owners of the attacked dogs were not able to fight-off the pit bull. The teenage son of one of the dog owners then used a knife to kill the attacking dog. Read full story. Summary: An Edgewater woman whose pit bull was fatally shot by an Anne Arundel County police officer in 2006 will not be able to go forward with a $3 million lawsuit against the county, the state Court of Special Appeals ruled yesterday. Deborah Ransom filed the lawsuit in July 2007, alleging that the officer, Adam Hinson, had been reckless and used excessive force. The Court of Special Appeals sided with Anne Arundel Circuit Court in approving a motion by the county to dismiss the suit. The suit did not comply with several provisions of the Maryland Local Government Tort Claims Act, Judge Deborah S. Eyler wrote. Summary: Authorities in Jacksonville say a woman who fired a pistol at a dog missed and inadvertently shot her neighbor in the back. Jacksonville Sheriff's Office Lt. Ron Norse said the woman fired a shot at a pit bull she thought was attacking her son, but the bullet instead bounced off a driveway, burrowed through the wall of a neighboring modular home and lodged itself in a woman's back. Norse said the injured woman was taken to a hospital with a non-life-threatening wound. 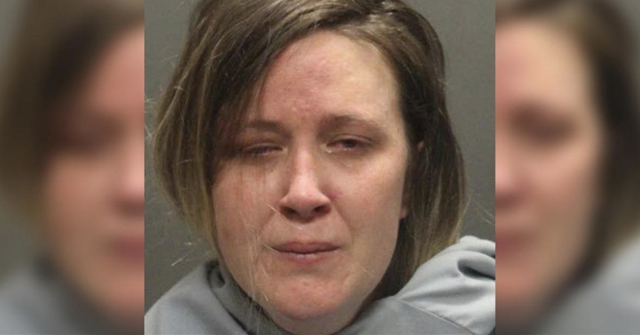 The mother who shot the gun was later arrested and charged with discharging a firearm and culpable negligence. Summary: An Onslow County sheriff's deputy is on bed rest after an attack in his yard where he shot and killed a pit bull. Sheriff Ed Brown says Lt. Dwane Wade was headed to his patrol vehicle Monday morning when he heard his dog barking. Two pit bulls attacked him when he investigated. Brown says when Wade was able to reach his weapon, he shot one of the dogs to death. The other pit bull ran after the shot was fired. The remaining pit bull attacked other deputies on the scene, but was quickly captured and taken to a nearby animal shelter. Summary: A pit bull was shot dead during a police raid, after charging Lt. Paul Delano Jr. of the Narcotics Squad, according to Dennis J. Richards, the department's chief of detectives. The resident in the apartment, Frank Wagner, 34, was arrested charged with possessing 13 codeine pills, syringes with suspected heroin, and pipes containing suspected crack residue. This was the 1,037th time Buffalo police executed a search warrant this year. It's unknown how many of these warrants involved the shooting of pit bulls. Summary: Deputy Jason Rickamore and his partner, Lisa Heeden, were responding to a disturbance call in the 900 block of Pennygent in Channelview when the attack occurred. The pair had just entered a property through a fence when the pit bull and a Rottweiler charged them. Both deputies stumbled backward, and one of the dog's bit Rickamore on his face. It was after 9pm and dark. He fired at least two shots at the dogs, and one was hit. Rickamore had to get five stitches on his right cheek and suffered puncture wounds to his chin. Summary: Authorities in Ferris (population about 2,000) can now shoot wild, roaming dogs, according to a new policy. Created last week to curb its growing population of feral dogs, the policy permits authorities to use shotguns to kill aggressive dogs running loose. Ferris City Manager David Chavez said the Ellis County town was becoming an unwanted pet dumping ground. People drive out to the country to release their pets when they no longer want them. Ferris Police Chief Frank Mooney said the city has tried other methods with little success. The chief said they would shoot only potentially violent dogs as a last resort -- after attempts to humanely capture the animal had failed. "It's not a task anybody relishes down here," Mooney said. "You have to take care of the situation now or wait until someone's dead." Summary: After a traffic stop, Joseph C. Russel fled the scene along with his pit bull. Before disappearing into the woods, the dog attacked one officer and got pepper sprayed. The episode turned into a manhunt. ''There were officers from Erving, Montague, Leverett, Sunderland, New Salem, three members of the Environmental Police and six to eight troopers from the state police, including a dog handler and his K-9,'' the chief said. Russel eventually surrendered but was unwilling or unable to constrain his dog, so the officers shot and killed the animal. Summary: The owner of the property, Bibb County Clerk of Court Dianne Brannon, told the police she was inspecting the property regarding complaints of loose dogs when the pit bull came out of the bushes and bit her on the knee. An officer responded to the house and found a Macon Water Authority employee fending off a pit bull mixed dog and a Pomeranian with a long piece of rebar. The officer called for animal control after the two dogs lunged at him. At some point, the pit bull charged at the officer again and he fired his gun once, striking the dog. I count 33 for the month of December. Good Gawd!…417 shot despite being restricted in an evergrowing list of cities and counties! What would the numbers be without BSL?! Much of that is thanks to the No Kill insanity (in places like San Antonio) where they get overcrowded and stop taking in owner surrenders and strays. This is the kind of thing that Nathan Winograd and Best Friends animal sanctuary are responsible for. 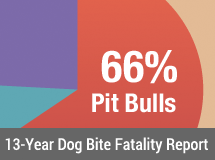 They are selling this “No Kill” to the gullible, and failing to mention that deaths go up, but that the deaths are horrific and uncounted, instead of humane euthanasia. Winograd is trying to bring this insanity and cruelty to Austin Texas, King County Washington, amonmg other places. Owners of dangerous dogs need to wake up. Rocky River – A Cleveland Metroparks visitor carrying a concealed gun fatally shot a Rottweiler that attacked his leashed dog at Tyler Field off Valley Parkway on Saturday afternoon. Dianna Kall, spokeswoman for the Metroparks rangers, said the armed man was walking his Labrador when the leashed Rottweiler broke free from its owner and attacked. 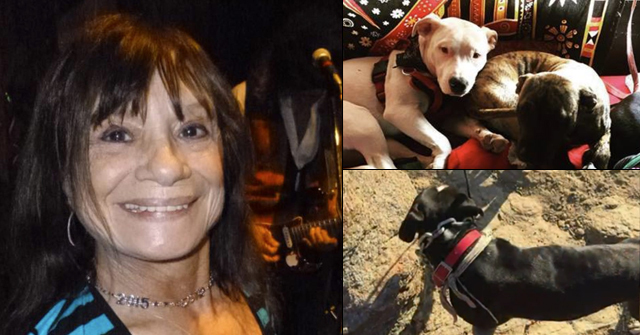 When the owners were unable to separate the dogs, the Labrador's owner shot the Rottweiler dead. Excellent eyeball “x.” This incident did occur on the 1st. We’ve got it tracked for 2009. I think this is the first “play dead training incident” for 2009. The pit community made it a whole 1.5 hours into the year! If anyone wants the complete list. I’ve counted 420. I have them in a list by month with summary and reference. I’ll have to e-mail it to you. It’s over 60 pages. It’s amazing when you see it all in one spot.